Nothing is more representative of the college experience than eight-hour study sessions in main stacks. Fortunately, while the library may currently inspire more ire than affection with the final rush of midterms before spring break, Doe Library will be having an open house  on Wednesday, March 21 in celebration of its centennial (1912-2012) that will actually make the library experience fun. From 3 p.m. to 4:30 p.m., Doe Library will be open to the public eye, including normally restricted areas such as the Preservation, Conservation and Treatment Department in the basement. You will also be able to pick up free books at 303 Doe and as we always say in the Clog: everyone loves free stuff. There will also be various performances and presentations throughout the afternoon, with musical guests such as the California Golden Overtones, the University Chamber Chorus, the UC Men’s Octet and the Cal Band. At 5:30 p.m. there will be presentation in Morrison Library entitled “Celebrating the Library,” in which speakers such as Chancellor Birgeneau, Professor Geoffrey Nunberg  and author Annie Barrows  reflect on Doe’s long history. 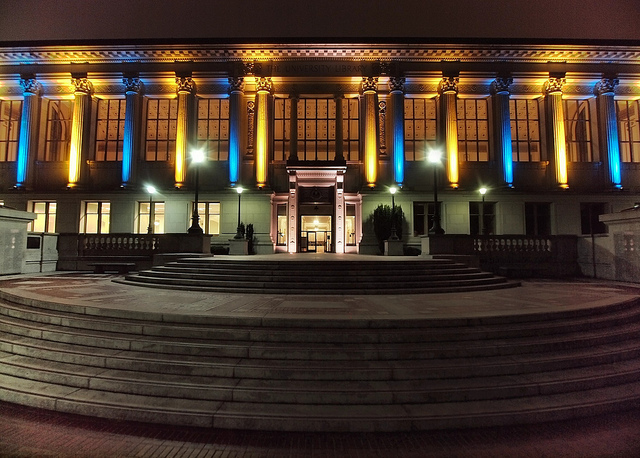 In all seriousness, Doe library is a wonderful resource to Cal students and we are thankful to all the staff that makes Doe a wonderful place for study and research. Centennials don’t come around often; best to leave Cal for vacation with happy memories of the library than stressful ones! Click here  for a complete schedule of festivities planned for the open house.